PSN is a group of privately owned and operated suburban newspapers in the Perth (Western Australia) metropolitan area. Our papers are free and delivered weekly to all homes and businesses in their respective areas. As the CAB audit figures show, we have a higher penetration of household letter box deliveries than our opposition in the same area! Perth Suburban Newspapers are independent of any national or multi national media organisations; our editorial content is not influenced by any vested interests. 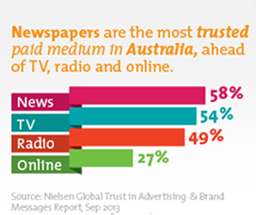 Our newspapers are owned and operated by West Australians who live and work in their circulation areas. They have their fingers on the pulse of local issues as they happen. We pride ourselves on this independent approach rather than promoting a generic “look” based on style rather than content. Because of this difference, we have very high, loyal readership within our distribution boundaries. This high loyal readership is delivered directly to advertisers in a credible environment. Suburban newspapers are increasingly becoming important to people who want to know what is happening in their own back yards. Support your local independent suburban newspaper and keep diversity of opinion alive and reap the benefits for your business. AMAA (CAB) Circulation figures September 2018.